1 Combine Hellmann's® or Best Foods® Light Mayonnaise, vinegar and Italian seasoning in small bowl. Spread each slice of bread with mayonnaise mixture. 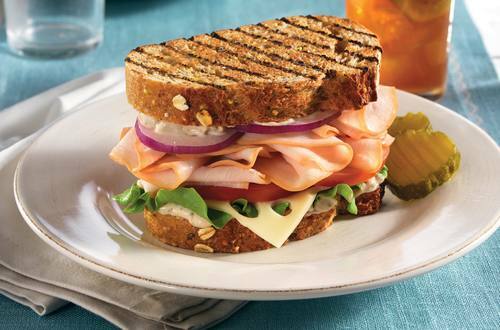 Evenly top 2 slices of bread with lettuce, tomato, onion, cheese and turkey. Top with remaining bread. Also terrific with Hellmann's® or Best Foods® Real Mayonnaise or Hellmann’s® or Best Foods® Canola Cholesterol Free Mayonnaise.